Suzuki showcased Burgman scooter at the 2018 Auto Expo. With the popularity of the maxi scooters rising in India, manufacturers are now attacking the segment with their respected product launches. India’s is world’s largest two-wheeler market and the arrival of new scooters will boost the market further. The Burgman will be Suzuki’s first maxi-scooter in the Indian market and will go against the likes of Aprilia SR125 and TVS NTorq 125. It will be launched in April. The scooter features a relaxed riding position and there will be a long list of features. To start with, the scooter will get LED headlamps, a wide floorboard and large fairing. The Burgman’s features will make it a very good choice for long distance riding. The Bergman looks quite substantial and a large fairing up front. It looks quite big for its segment. The scooter will be powered by a 125cc four-stroke engine that produces about 10 Bhp and 10 Nm of peak torque. The air-cooled engine is expected to be the same as the one that powers the Suzuki Access 125 in the market. It will use a carburettor for fuel delivery and will CVT automatic transmission. The Burgman will also get hydraulic disc brake on the front wheel and a drum brake set-up at the rear. The front wheel measures 12-inch while the rear wheel is of 10-inch. It will also get a telescopic front suspension and a monoshock at the rear. The scooter weighs around 110 kg and has a ground clearance of 110 mm. The expected price of the Burgman will be around Rs. 80,000 in the Indian market. 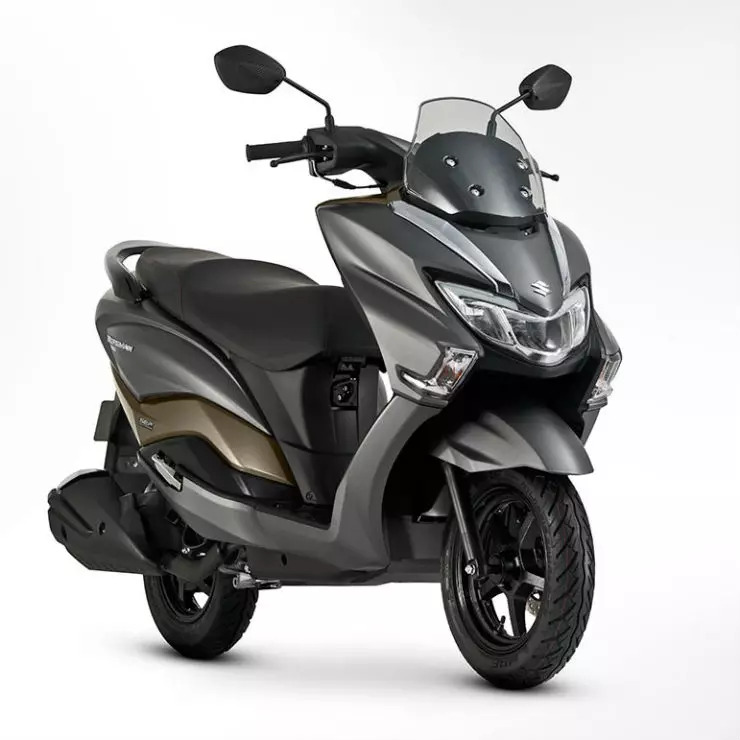 This is the most affordable Burgman from the range and the scooter is also available with higher displacement engines of up to 750cc. With the launch of Burgman, the chances of getting higher displacement Maxi scooters in India will open up much wider. The success of Aprilia SR 150 is quite evident on the Indian roads as it has attracted a lot of enthusiasts. The Burgman will also target youths who want a touring spec scooter that looks quite aggressive.